single breeding bird in North Americanearly 750 in all. This utterly distinctive package features a state-of-the-art digital audio player that brings to life the birds' songs and calls with the touch of a button. Written by a panel of ornithological experts and produced with the renowned Cornell Lab of Ornithology, this indispensable reference features lavish illustrations of the birds and their habitats, scientifically accurate range maps, and detailed information on distribution, habitat, behavior, and vocalizations. 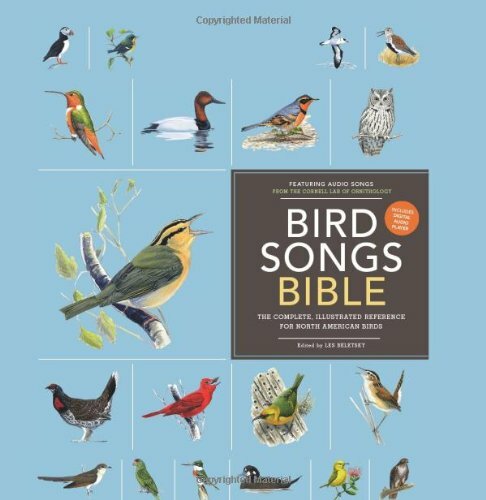 A beautiful keepsake object, Bird Songs Bible is an essential volume for the true bird lover.